During this six-week period, the Thin Mint cookie will lead the charge, along with 11 other flavors. The annual Girl Scout fundraising program that is structured to teach girls essential life skills such as goal setting, decision making, money management, people skills and business ethics. 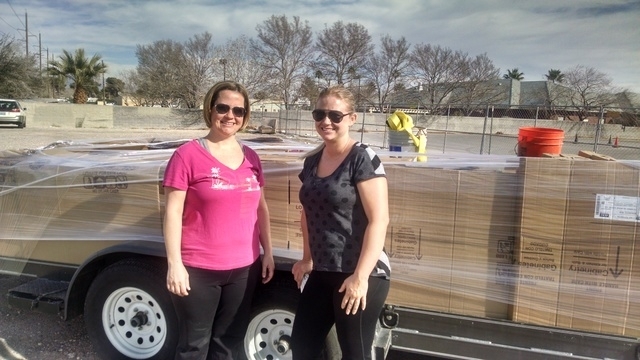 “The cookies are so popular that people began asking for them back in December,” said Scout leaders Jennifer Herbolsheimer and Adrien Berryessa of Troop 150 in Henderson. In 2014, their troop netted more than $5,000 in cookie sales, which allowed them to take an overnight trip to Sea World in California. And, as a way of giving back to the community, the troop donated $1,500 to the Serving Our Kids Foundation, an organization dedicated to feeding and serving the needs of Clark County’s homeless and at-risk children. Each box of Girl Scout cookies costs $5. All money raised from cookie sales stays in the community — $1 of each box sold goes to the troop that sold the cookies and $2.09 goes into the Southern Nevada Council’s coffers. The remaining cost pays for the manufacturing, packaging and shipping of the cookies. Girl Scouts of Southern Nevada CEO Liz Ortenburger manages an army of about 4,300 Scouts throughout Southern Nevada. She said she expects this year’s cookie sales to reach 912,000 boxes. That’s a sales volume of more than $4.5 million. Most of the council money is used to run Camp Foxtail at Mount Charleston for two weeks during the spring. The council also sponsors camp outs and troop-leader training and maintains the merit badge programs. Girl Scout Cookies sales have a long history dating to 1917, when the girls of the Mistletoe Troop in Muskogee, Okla., baked cookies at home and sold them in the high school cafeteria as a service project. By the 1930s, Girl Scouts in different parts of the country were baking simple sugar cookies, packaging them in wax-paper bags, and selling them door to door for 25 to 35 cents per dozen. 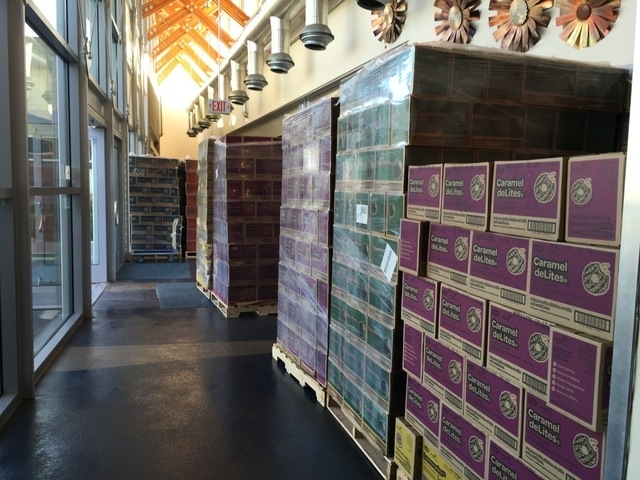 Over the years, the cookies have evolved to the three most popular flavors, Peanut Butter Sandwich/Do-si-dos; Shortbread/Trefoils and the most popular Thin Mints, which despite the short six-week sales period, is the nation’s No. 3 top selling cookie. Thin Mints trail only No. 1 Oreo and No. 2 Chips Ahoy cookies, which are sold all year. Although steeped in history, the Girl Scouts have moved into the 21st century with a new digital cookie app that was introduced during January’s International Consumer Electronics Show in Las Vegas. The new app is available for the iPhone and Android and allows you to type in your ZIP code to find the nearest cookie sales location. Also, the girls will be able to take your order and process a credit card using a new digital app on their smartphone or tablet computer. Also introduced this year is a new gluten-free cookie called the Trios made of chocolate chips nestled in a gluten-free peanut butter oatmeal.